On Nov. 5, the CEO of Pacific Gas & Electric told stock holders she would renew the drive to change a California state policy called “inverse condemnation,” which holds utilities responsible for any damage done by their equipment even if they have done nothing intentionally wrong. 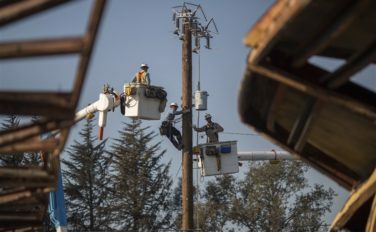 On Nov. 8, the deadly fires that have killed dozens of people and devoured large swaths of the Golden State erupted — and suspicion quickly fell on PG&E’s equipment. Governor-elect Gavin Newsome has “indicated a fairly thoughtful approach to this and we’re pretty optimistic he will come up with a thoughtful solution to keep Californians safe,” he said. “We think we have something in place that will force them to be safer, and make decisions that will be safer for all Californians,” he said.